Edgy city boy Oh Sehun is sent into the countryside to minimalize his obnoxious lifestyle. He meets a chicken, an old man, and his young daughter, Kim Namjoo, who has never been to the city. He is faced with challenges when his big spending city life suddenly no longer exists under the beating sun and is forced to complete menial tasks in order to get his three meals a day. On the farm sanctuary he butts head with Namjoo but they soon transition from enemies to friends. They split when he returns to the city, but Namjoo soon follows. 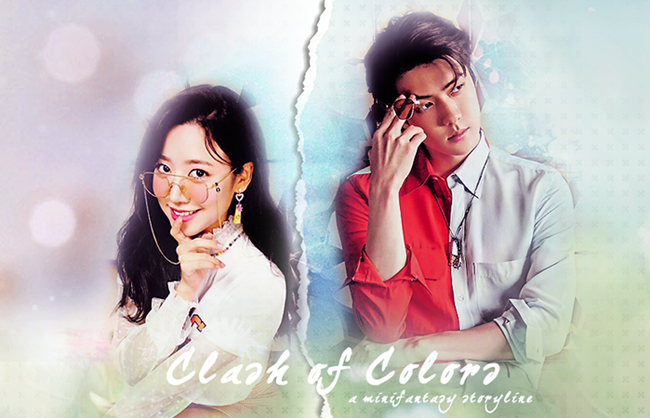 The city proves to be a different world than she imagined as she discovers secrets and more about Sehun's frivolous life. And she soon learns that there are things closer to her heart than she's imagined. Updates coming soon! I'm almost completed with On Thin Air! Look out!